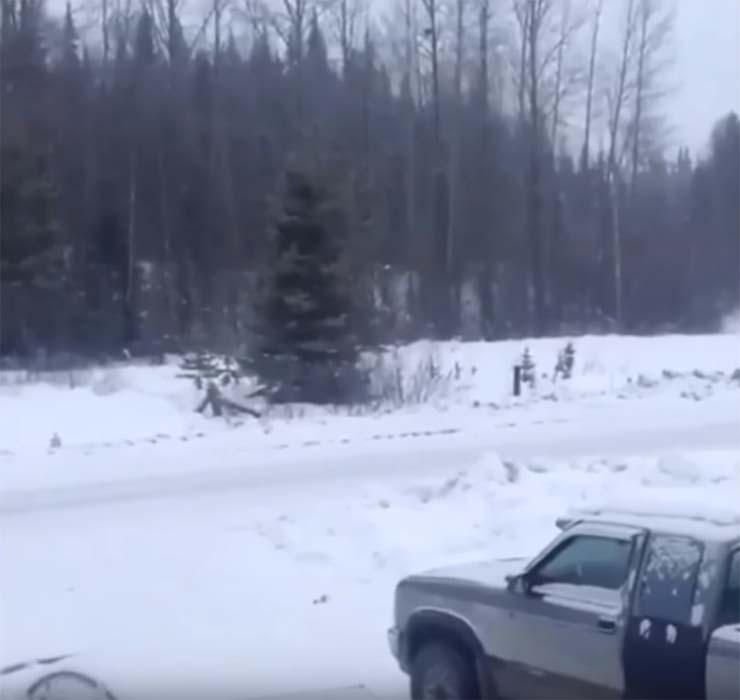 Terrifying Sounds Were Recorded From A Canadian Forest.. WTF Could It Have Been? Home » Nature » Terrifying Sounds Were Recorded From A Canadian Forest.. WTF Could It Have Been? Although this story can be considered a simple urban legend, now terrifying sounds have been recorded in a forest near Moricetown in central British Columbia, Canada. “Bigfoot? Aliens? Listen to this amazing recording taken on December 16 at 8:30 a.m. in Witset (Moricetown), British Columbia. Can anyone explain what is happening here? “ Says the description of the video uploaded to YouTube. And of course, the reaction of the conspiracy theorists and experts in cryptozoology did not wait. Some assured that it was the cry of a Bigfoot , since the British Columbia is a “hot spot” for encounters with the legendary creature. Many sightings have taken place in the Fraser Canyon region, but it appears to be much more active between Harrison Hot Springs and the Hope community, as well as certain places on Vancouver Island. The stories of the witnesses range from seeing huge footprints, hearing unknown howls , and sometimes seeing the elusive creature moving through the forest, bathing in the river or eating the cattle. On the other hand, some conspiracy theorists suggest that it could be some kind of extraterrestrial creature . Whatever the true origin, as expected the Canadian authorities do not seem particularly predisposed to investigate the source of the terrifying sounds. Although there is also the possibility that it is a well-crafted joke. The most skeptical are clear, it is the call of a moose, or at least that is what they want to believe to enjoy their vacation in the woods. What is the origin of this terrifying sound? Bigfoot, extraterrestrials, another mysterious creature? Or maybe you prefer to believe that it is the call of a male elk? My money is on Bigfoot. Let us know what you think it is in the comments section!